Nintendo thinks you already have enough DVD players in your life, so the Wii U won't be another one. 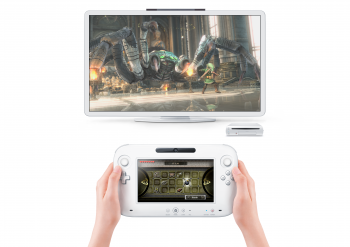 Since its revelation at E3, more and more details have been trickling out about Nintendo's new home console, the Wii U. However, this latest nugget will probably leave a lot of people less excited about its eventual release: The Wii U will not feature DVD or Blu-ray playback. During a Q&A session with analysts at E3, Nintendo revealed the lack of DVD support. According to the company, this decision was made because it believes that consumers have enough devices that can play DVDs. According to Nintendo president Satoru Iwata, "The reason for that is that we feel that enough people already have devices that are capable of playing DVDs and Blu-ray, such that it didn't warrant the cost involved to build that functionality into the Wii U console because of the patents related to those technologies." Of course, that doesn't mean there won't be an option to play media on the system. The Wii has access to Netflix Instant, and the 3DS is supposed to receive the same service later this summer. It seems safe to assume that the Wii U will also have this feature available to it.